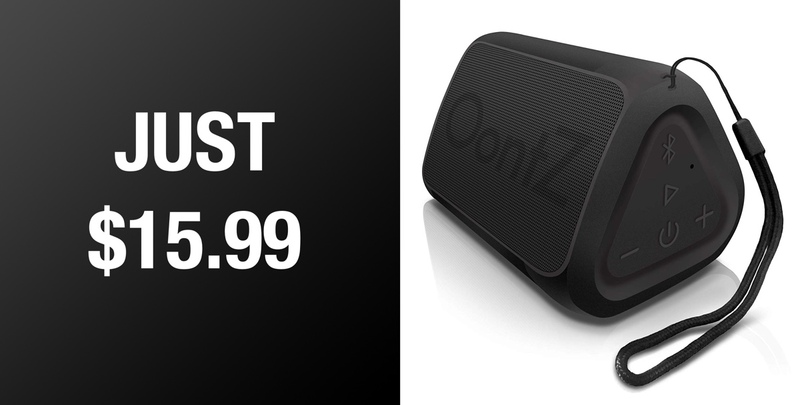 This gorgeous and highly portable Ooontz Bluetooth speaker is available as an affordable stocking filler, right now! The lightweight and appealing hardware delivers a crisp and surprisingly clear sound for just a fraction of the cost of other devices. This attractive little piece of technology would make a great first Bluetooth speaker for a child’s bedroom or as a portable component in the home. It’s 4.6-inches in its biggest dimension, weighs just 10.2-ounces, and is powered by a single lithium-ion battery that is going to keep it up and running long enough to make a worthy addition to your musical arsenal. This is in no way shape or form going to be the musical centerpiece of your home but it has some really perfect use cases. What you will immediately notice is that the hardware is surprisingly loud. It delivers 5 watts of power via its custom Oontz solo neodymium driver to ensure that it pumps full range sound around the home, or whatever environment it is in. It also offers what the company is calling “bass beyond its size,” which means, once again, you’re going to be surprised at the power that this little beauty packs. As you are probably telling, it should make the perfect travel companion when you can’t live without your jams but you need to conserve space. It offers 100-feet Bluetooth range for great connectivity to your devices. It has a stylish and lightweight form factor offering up to 10-hours of playback. It also comes equipped with IPX5 water-resistance, making it splash-proof, rain-proof, and dust-proof, making it amazing for outdoor parties or poolside shenanigans. This is not going to take on Bose, Apple, Amazon, or any other provider of high-quality and extremely expensive audio accessories but it definitely is going to excel in its own affordable and portable niche. If you are ready to slip this into someone’s stocking or just get it for yourself as a treat for your next barbecue, then you can find out everything that you need to know from the direct product link below. Grab it now while it’s discounted.